It has been some 60 years since Tunisia granted women some of the most far-reaching rights in the Arab world, becoming a pioneer in the region. Where is the country now? 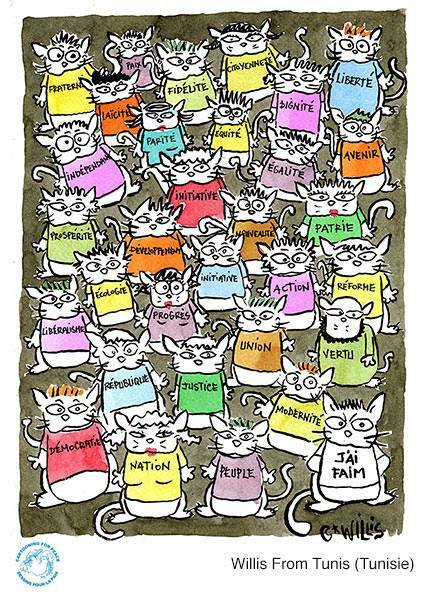 – two years on from the Arab Spring and on Friday of all days – International Women’s Day? In the mid-1950s, Tunisia abolished polygamy, scrapped repudiation and allowed abortion and divorce. But since the arrival of the Islamist party, Ennahda, as the major force in the country’s constituent assembly, there are fears that these major advances maybe reversed. That is a charge denied by one of the group’s 42 female assembly members. There is a constant stream of visitors to the offices of lawyer, Bochra Belhaj Hmida. Since the elections in October 2011, she says she has seen a new form of violence against women emerge. “Several women have been subjected to verbal and physical assault by police. It’s always the same kind of woman: modern women, financially-independent women,” Hmida said. She told euronews about a case where one Tunisian father forced his seven-year-old daughter to wear the Islamic veil. Ultra-conservative Islamists in Tunisia want to re-shape society in what they see as the traditional image of Islam. Women’s rights groups are fighting against such a change as the Constituent Assembly drafts a new constitution that they believe will turn back the clock on their freedom. There are proposals being debated that even include restricting a woman’s freedom to choose a husband. But Tunisia’s Jasmin Revolution did, however, ease restrictions on free speech. 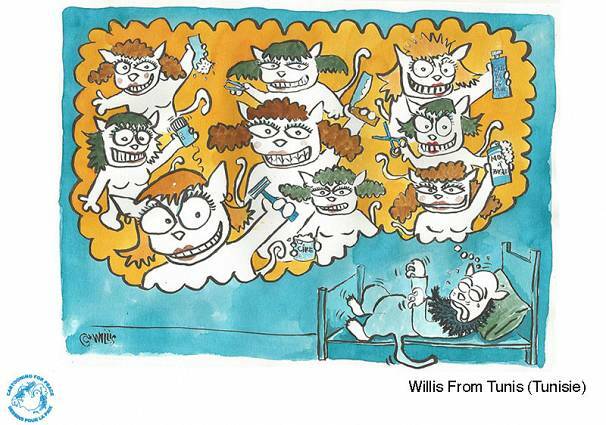 Satirical cartoonist Nadia Khiari spoke to euronews’ Audrey Tilve about how she depicts Tunisian politics. Click on the video link above to see the interview.